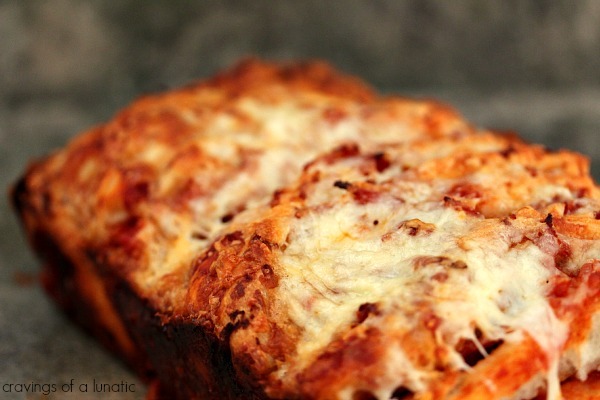 An easy and quick version of Pizza Pull Apart Bread that is perfect for those busy nights where you want something delicious fast! 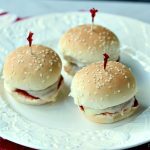 Welcome to Day #1 of Appetizer Week, a multi-blogger event co-hosted by myself, and Kristen from Frugal Antics of a Harried Homemaker. 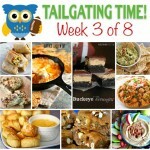 With the big football game coming up, we wanted to make sure you had plenty of ideas for your game day spread. Each day we will be dishing up a different set of appetizers. 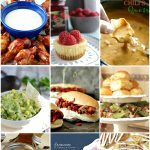 We hope you enjoy this fabulous group of recipes. 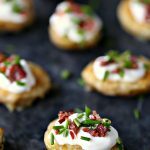 Okay, all kidding aside, welcome to a week filled with savoury appetizers to get you ready for the big game. As Kristen and I chatted I realized I had very few appetizers on my sites. So this week we are going to fix that by shifting into appetizer overdrive. Just in time for the big game. I have to say it’s been fun delving into the world of appetizers. So many options, so little time. I hope you enjoy Appetizer Week. 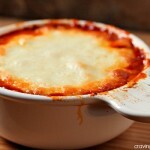 Be sure to check out all the other great appetizer dishes all my bloggy buddies cooked up. We are going to help you throw the best game day party on the block! 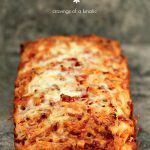 An easy and quick version of Pizza Pull Apart Bread that is perfect for the busy nights where you want something delicious fast! Get a loaf pan prepared by spraying it with non-stick spray. Set aside. On your work surface roll out, or hand stretch your dough until it's spread evenly. Use some flour to make sure you dough isn't sticky, it will make the stacking process easier later. Now spread the pizza sauce over top evenly. Sprinkle the the cheese over top. Now toss the pepperoni over top. 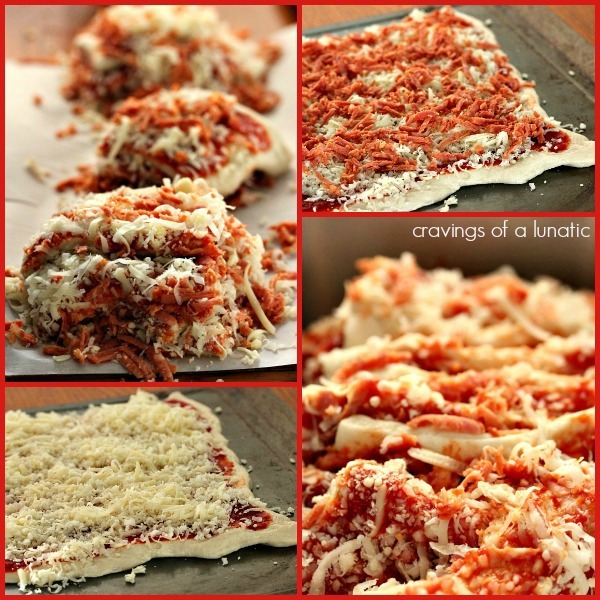 Take a pizza cutter or knife and cut your pizza into squares that will fit into the pan vertically. Stack about 4 squares high. I managed to get about 3 stacks with 4 high. Once you have them stacked take one at a time and carefully flip them sideways to they are standing up in the pan. So basically you're taking a horizontal stack and making it go in the pan vertically. Quickly do the same with your other stacks. It's okay if it doesn't touch the sides, it's going to expand as it cooks. Place in oven and cook for about 15 minutes. Pull the oven rack forward and toss some extra cheese on top. Slide it back into the oven and cook for another 10 to 15 minutes. You want the top golden brown and the cheese all nice and melted. Remove from oven and carefully take a knife and slide it around the edge of the pan to loosen the pizza. Turn upside down on a plate, then flip again onto another plate. This is a good skill to learn if you spend a lot of time in the kitchen. Recipe adapted slightly from Just a Taste's Pizza Pull Apart Bread. I was unsure how to stack mine, I usually do this bread in bubble pizza form so I swung by Kelly's for some great visual tutorials on how to stack the bread properly. She's got a great tip there about proofing bread you should check out. Make sure you use flour on the work space or your dough will be too hard to work with and stack. Roll the dough out on the thin side, if the dough is too thick it won't cook properly. However if it's too thin you'll have trouble picking the stacks up to move them. So pay attention to your thickness when making this. We love cheese but don't go too crazy or the stacks will be hard to transfer to the loaf pan. You do lots of variations of this. We make pizza about once or twice a week so I'm always playing with new ideas and techniques to keep it interesting. Buffalo Ranch Cheese Ball by What’s Cooking, Love? You seriously have to try this. It’s amazing. 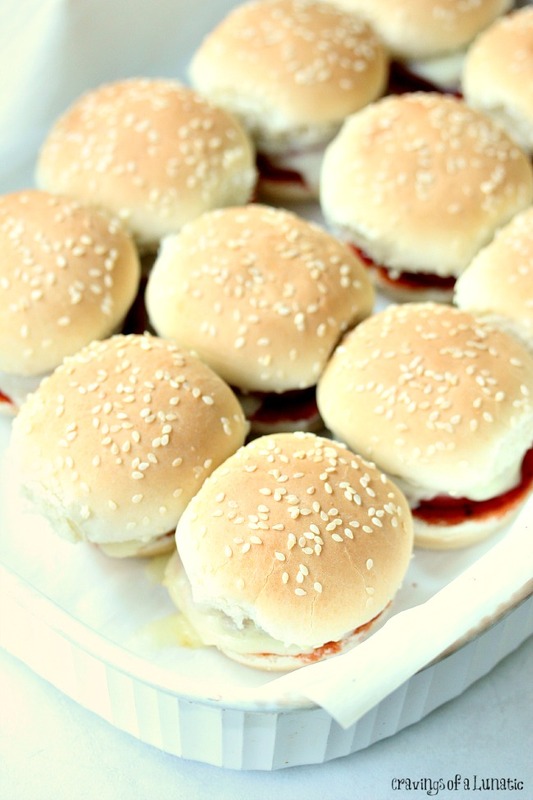 I usually do my pizza pull apart bread like bubble pizza, it’s round pieces. I decided I wanted to try stacking them like cinnamon pull apart bread but was unsure how to do that with the toppings on it. So I did some digging on my pinterest boards, and remembered Kelly from Just a Taste did a Pizza Pull Apart Bread with this technique. I headed over to Kelly’s site and she had a great photo tutorial how to stack them. So thank you to Kelly, your photos made the process easy to follow. I’m thinking mine would have been a mess without your guide. Luckily it turned out fabulous. I love that too. It’s amazing. I love my OXO measuring cups!!! Me too. I use them daily. What beautiful bread, Kim! I fear I could eat that whole loaf. Thank you so much for organizing this great giveqway week! I hope you are having the absolutely BEST birthday EVER! I pretty much did. You are most welcome, thanks for joining us. And thank you. I wish I hadn’t been sick for my birthday but what can you do. Could be worse right. Lol. My favorite OXO product is measuring spoons-I can’t bake without them. I love mine. I use them every day. I don’t have that but want it. I like their Bento Box. Thank you for this recipe! I am gluten free (by Dr orders, not choice!) and I am going to try this with a Gluten Free Pizza Crust mix and see how it turns out. Perfect. I love pizza with cauliflower crust. Wouldn’t work for this one but for a flat pizza it rocks. My favorite that I own & use frequently is the soft handled can opener. It’s weird to love a can opener so much, but when I am at someone else’s home and ask for their can opener, I usually cringe because it’s not the right kind! After seeing this post and the ad from OXO I would like to try the 4 piece mini measuring beaker set – looks like it is designed right for my needs. A great can opener is a life changer. I think it’s super important. You would love the beaker set, it’s awesome. I love OXO’s Pop Containers!! I want some of those myself. Coveting them. I LOVE the canisters with the pop up top!!!!! OMG I can really use this prize pack!!!! I just graduated with a masters in OT and am struggling with cash and I need to move out of my parent house ASAP is getting free kitchen products, especially oxo, will really help get me into the right direction with a put together home! Great idea! 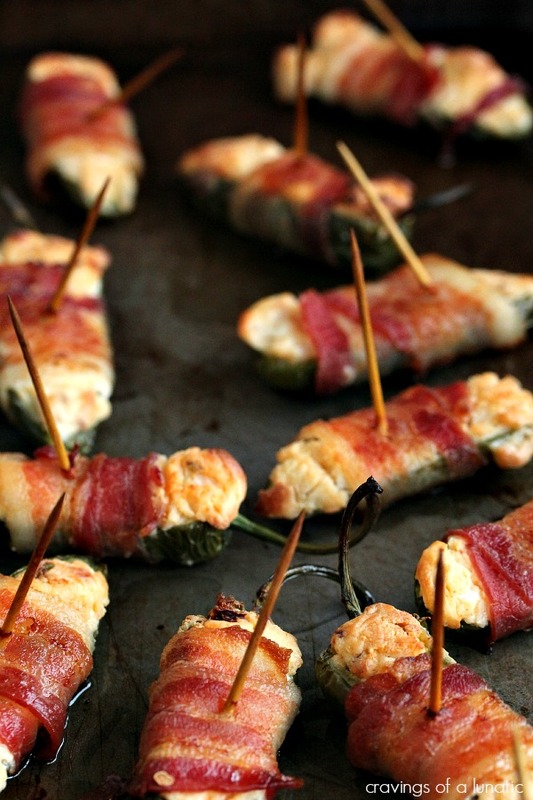 Who can’t use more appetizers? And I love pizza, so you’ll know I’ll like this nifty pull apart version. Thanks. MY favorite OXO product so far is the non slip mixing bowl set. My favorite OXO product is the salad spinner! I absolutely love OXO products! My favorites are the pop storage containers. They’re so easy to open, close, and ensure everything stays airtight. Love!!! I oddly don’t have those and I need to go get some immediately. We’re getting ready to do a major kitchen pantry redo. Currently I’m in love with my OXO pie server! ok andddd HAPPY BIRTHDAYYYYYY!! Wishing you oodles of love and fun! 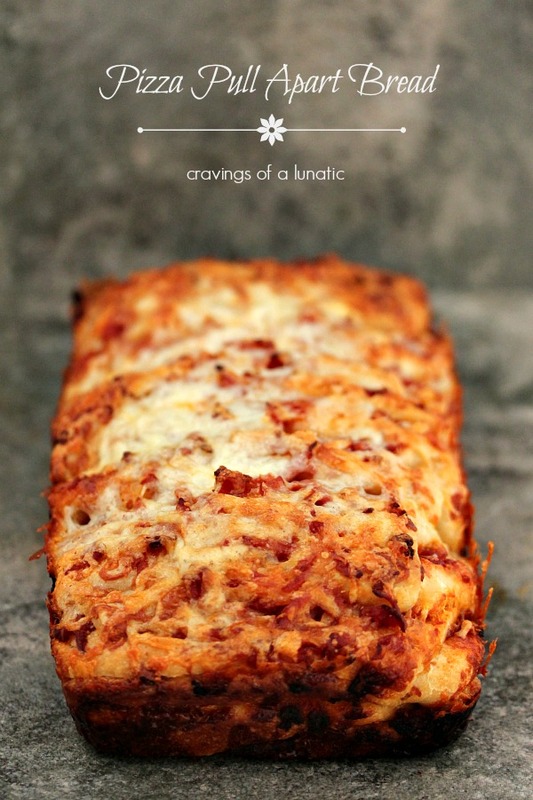 And hopefully this pull apart pizza because ummmm OH MY YUM! So amazing!!! How cool is it right. Thank you SO much. I had a wild week and still haven’t opened my birthday gifts, maybe tomorrow. A week late, not so bad. Ha. I love the angled measuring cups. No more squat-and-squint. Genius. I know right. I use mine daily. They are amazing. I love the salt and pepper grinder set! I love grinders, they are just so much fun to use. My mandoline…..I got our son one too. AND told him to be very careful…..they bite. They do, you need to be mucho careful. They are awesome for slicing though. Just love mine. I love them all. It’s hard to choose but I love my can opener. 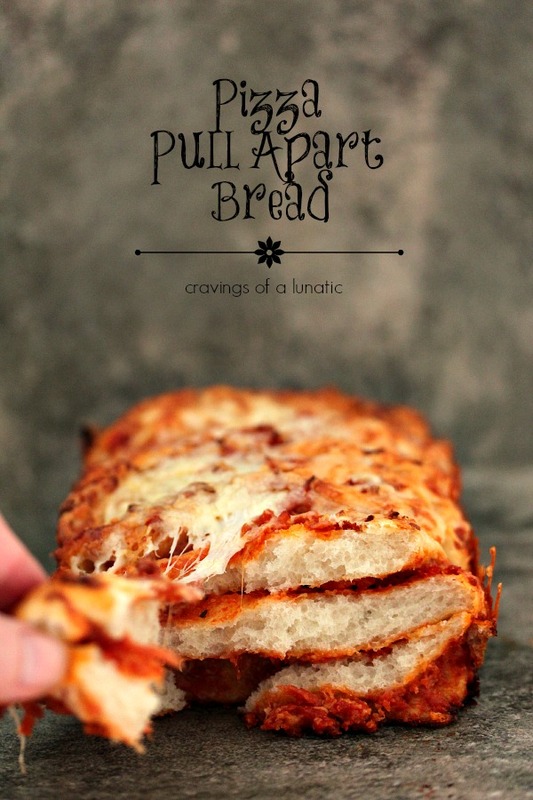 I love pull apart bread but I’ve never made a pizza bread. YUM! It was so fun to make. I love anything pizza related. 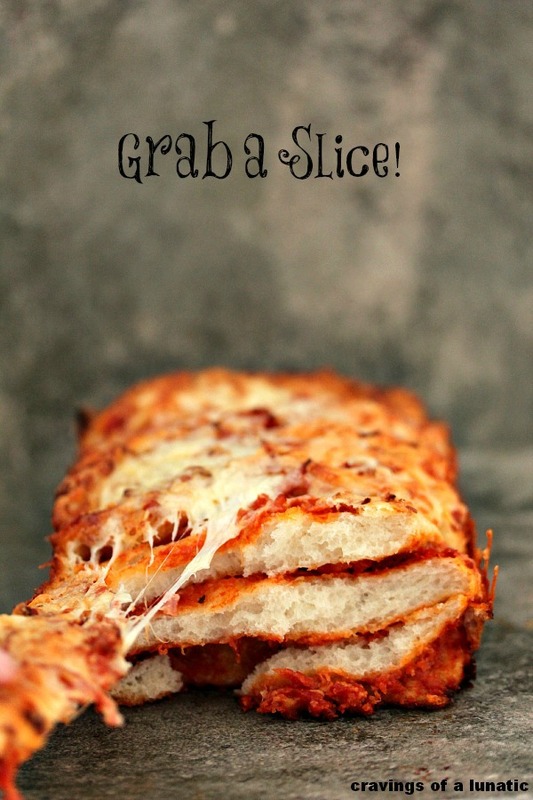 As a pizza-aholic, I swoon and smile at this recipe! Major yum. Ha, thanks. We’re all pizza-holics here. We eat it constantly. My fav product is the mandoline, makes food prep so much easier!!!!! I love all their products! I would love the French Press – 8 Cup. I WOULD LOVE THEM ALL! I use a bunch of their baking tools. I love their measuring cups. I like their POP storage containers. I use them for baking supplies, dried fruits, snacks, oats, nuts, cookies, etc. I need to get some. We’re building a huge pantry soon so they would come in handy. You can never have enough. Their products rock. I love my garlic press. All others I have tried would break very easily. Garlic presses are life changers, I use mine almost every day. Hard to answer this one because I have so many favorites! I would have to say my favorite OXO gadget is my salad chopper & bowl! Not only fantastic for chopped salads, but the chopper can be used for cutting dough slices as well! So true, multi-use tools make me happy. I like the Angled Measuring Cup – 1 Cup. My current OXO fave, the UPLIFT Anniversary Edition kettle that I received from a dear friend for Xmas. Can’t go wrong with any OXO product. They are so reliable. I love their products. Will try the pizza bread for sure! Love OXO products. Hope you like it. Me too. Love my oxo peeler. They make really good quality products at affordable prices! My favorite OXO product is the ZESTER. I’m a Zestnista :-). A strong second would be the measuring cups. Ha, I love that. You cracked me up. Funny thing is…we have plenty in common. My name is Kim as well. I’m a snarky, sarcastic mom who LOVES to cook. I’m addicted to pistachios, ice cream, and not turtles, but traveling and money, LOL. My favorite is the salad spinner! Love to spin salad. Makes such a difference. My favorite OXO product is my whisk. I use it every day. My favorite Oxo product is the avocado opener tool – it’s so awesome! I love mine, Makes it so easy. I adore the angled measuring cups that I can see the amount from above … now more lifting the cup or stooping down …. the best! I love mine, I use them daily. I love the non slip mixing bowls. They really ROCK! You confirmed your lunatic status this week by hosting two huge group events! 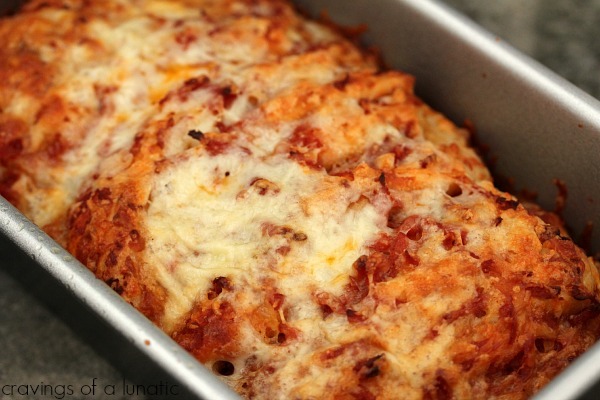 But that’s what makes you so endearing…and recipes like this pizza bread! I love all of their products, but the first to come to mind is the vegetable peeler. I love all of their products, especially the measuring cups! I love my measuring cups. I have the mini beakers that I use a lot. I adore my mini beakers. I love the dough scraper..have nearly worn mine out…need a new one. I adore mine. So useful. Nope, I said there was a giveaway coming up for Canadians, not that this one was for Canadians. There’s some for Americans, and one for both, and one coming for Canadians only. I have multiple giveaways going on. The one for Canadians only will be up on Tuesday or Wednesday. And the FB page would have a heads up about it since not many are Canadian only. I love my OXO grater! Me too, their products are amazing. I need some of those pop ones. Love them. OMGGGG …..This bread looks just amazing..yummy! Can’t wait to try it. I was gone most the day but just want to say: HAPPY BIRTHDAY TO YOU KIM!! Hope you’ve had a wonderful day. Great giveaway also!! I dont believe I have ever had OXO products but hopefully I will get a chance to try!! They all look great!! Thanks for the chance. My favorite OXO gadget is the mandoline. Great can opener. Thanks and good luck. I love my vegetable peeler. I love Oxo products. My favorite are the mixing bowls! I do too. I use them every day. Pineapple cutter! Greatest OXO tool ever! I always forget to pull mine out of the cabinet. It’s stored in an awkward spot and I keep forgetting I have it. Angled measuring cup~but really like the dough scraper. I like the angled measuring cups but so many wonderful products to choose. I love the can opener! There are so many great OXO items. Would love to have their food scale someday! Food scales are so amazing. I love my oxo mixing bowls. So true right, it’s all about making life easier. 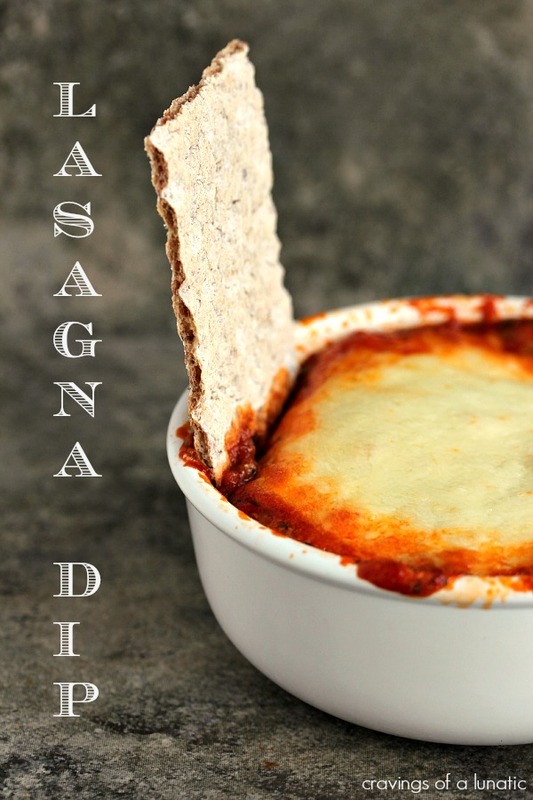 Not eligible for the giveaway but had to tell you your photos have me seriously drooling, looove those gooey cheese pictures! I am such a sucker for appies. Thanks so much Anna. I loved this bread. Too many to name but love the mini beakers! I HAVE to try this pull apart bread. Oh my gosh. I love my garlic press!! My favorite is my swivel peeler!! They last forever and even my kids use it to help with dinner!!! I love my angled measuring cups! I can look down into what im measuring instead of bending over to see the side! I use mine daily, love them. I love the measuring cups. I love the salt and pepper grinders, use them all the time. I love grinders, just fun to use. I love the apple corer and slicer! The Seal and Store Rotary Grater! I need those in my life. I love the garlic press! I use it all the time! I can’t press enough garlic. Love oxo products! Too many to mention! Pizza looks delicious! Thanks for the recipe! So true. Pizza rules, we eat it way too much. My favorite oxo product is the silicone turners, i love the flexible stainless steel centers and the 600 degree safe silicone covering that doesnt scratch my pans or leave melted black strings in my food!!! I don’t have those yet but they sound amazing. I love my oxo measuring cups! Me too, mine are used daily. I love the Oxo can opener because it doesn’t leave any sharp edges. I also LOVE Oxo bullion cubes!!!!!!!!!!!!! I love that can opener. I love the garlic masher. Use it almost every night. We eat so much garlic here. Can’t get enough of it. I couldn’t live without my OXO Salad Spinner!!! And their customer service is top notch! The salad spinner is amazing. And you are right, their workers are just amazing. I love mine. And mine too. Their products are amazing. I love my OXO vegetable peelers – comfortable to hold even when on marathon peeling sessions! So true, love mine too. Have so many that I like……potato peeler, sm. chopping knife, spatulas & chip clips! They make so many great products. You would love this bread Ramona. I think my mandolin but I do love those little measurers, that is my latest love. My current favorite that I own is my salad spinner, no my salt and pepper grinders for sure! But I really want the can opener. Nothing like a good salad spinner. Their products are amazing. My favorite which I use quite often is a small handheld microplane zester/grater. Great tool. Love shredding, zesting and grating. Me too. They really make life easier. I love my OXO liquid measuring cups. I really love the cupcake corer! Until watching cooking shows I was mystified how bakers could put creams, jellies, or anything like that in the center of cupcakes. Mystery solved! I would love to get one of my own from OXO to make cool muffins and cupcakes for my kiddos. Thanks! It’s always nice when mysteries unravel right. I love finding out little secrets like that. i like the salt and pepper shakers! Me too, they are so useful. My Oxo cookie press !!!!!!!!!!!!!!!!! My oxo pancake flipper spatula is awesome, but I’d love a pastry/dough scraper chopper thing! I need a pancake flipper. I have quite a few OXO products, but my favorite is the cherry /olive pitter; it’s simply fascinating and I could pit cherries for hours with it. I need a cherry pitter. Still don’t have one of those bad boys. I like the three piece large bowl and collinder set and the measuring cups. I am coveting them so very much. I love my microplane. I use is all the time. I love mine too. It’s always being used. 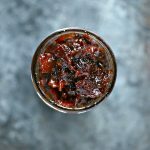 I love OXO, but I’m even more excited about this recipe. I’m so happy I happened to find this! I’m making it tomorrow! Thanks Andrea. Hope you like it. I want to try it with puff dough next. I bet it would be amazing.